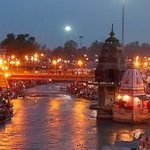 Haridwar, also known as Gateway to God, is one of the primary areas where river Ganges emerges from the mountains & enters to the plain areas. Lush green forests, clear water of river Ganges and background of mountains create the charming beauty of this holy city. The city has numerous temples with interesting legacies and is also known as a great source of Ayurvedic and herbal medicines. The diverse nature of the Hindu religion has attracted a number of visitors from all around the world. 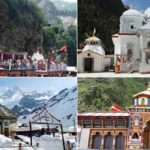 DBTT Chardham Yatra 2019 is an initiative of Chardham Tourism is to bring all the services related to Chardham yatra packages in Uttarakhand under one website. 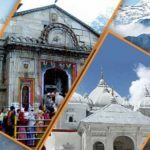 We deal in all major pre-made and customized 2019 Char Dham yatra tour packages, Chardham Hotel Booking, Chardham Helicopter Services, Chardham Taxi Service, Chardham Camps, Chardham Packages, Chardham Tours, etc. 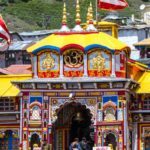 Get complete services of Chardham yatra packages you can also book online Packages to Badrinath, Kedarnath, Gangotri, Yamunotri, etc. CharDham by Helicopter. Chardham tourism in Haridwar is one of the best cChardhamtravel agent in Haridwar providing fixed departure Chardham yatra tour package and group chardham yatra tour package with deluxe chardham yatra package. For centuries, saints and pilgrims, in their search for the divine, have walked these mystical vales known in ancient Hindu scriptures as ‘Kedarkhand’ If the scriptures of HINDU RELIGION are to be believed, the holy centers of Gangotri, Yamunotri, Badrinath, and Kedarnath – collectively called the Chardham (meaning four sacred spots) – are the most sacred of all pilgrimages. Once there, the sheer magnificence and the tranquil beauty so immerses you into a world of spirituality that you experience true peace and humility. Nature in all its splendor, at once huge and overwhelming and yet humble in its exquisite beauty – the pilgrimage to the Char Dhams is the experience that will stay with you and beyond. Unlike the Original Char Dham, Viz. Badrinath (Uttarakhand in North), Rameswaram (Tamil Nadu in South), Puri (Odisha in East), and Dwarka (Gujarat in West) that took near a month to complete, the Chota Char Dham Yatra can be covered maximum within a fortnight. Chardham Tourism is the most trusted name in the travel industry of Uttarakhand. 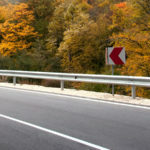 We are committed to make every travel desire of yours come true and ensure that you have an experience of a lifetime.